Today, I went to the Michelin Laurens Proving Ground with the Sand Lapper BMW CCA chapter for a wet handling/drifting event. There were 12 people signed up for the event. Unfortunately no pictures were allowed, due to Michelin policy, so I didn’t take any. Even if I had, I wouldn’t be posting them on the internet. 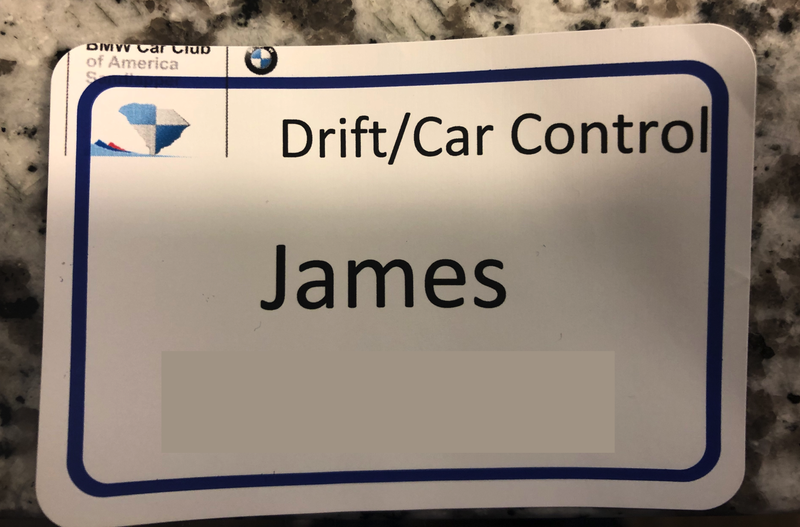 In addition to the registered guest were Andreas Bovensiepen and Randy Pobst; Randy was instructing Sara in the Porsche and Andy was there because he was in town for the close of the Icon event at the BMW CCA headquarters. We were on this massive round wet track. I had a great time, even thought I’m not the best driver. I spun several times but I was able to make progress in the runs that I had. I kept it in MDM for most of it because once I completely turned off the traction control, I’d spin it. I did learn how much grip my car has in the wet. Going around a smooth concrete surface in the wet trying and the back barely wanted to come out. When it did, traction control would keep me inline, which was fine but I couldn’t put more power in to hold the slide, but I couldn’t turn it off, because then I’d just spin. This was my first time driving my car like this, so I’m sure with more practice I’d get better. Regardless, apart from some wear on my tires, I made it out unscathed. The first time I spun, the car did say DCS wasn’t working, but the next time I spun off and turned the car off and on again, the warning went away. I did three more sessions after that, so I’m pretty sure it’s all good. Sara, who Randy was coaching, spun off at the end and must have hit a sprinkler because she broke something on the Porsche. So and and all, great way to spend a Saturday.